The girls have been off from school for the past week and so we’ve been doing lots of crafts and activities to fill the time. 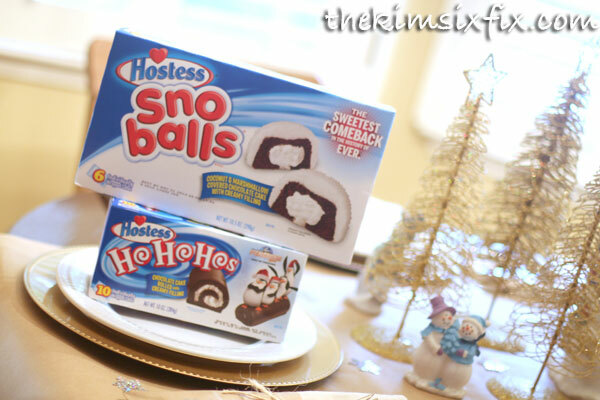 So when Hostess sent me a box of Hostess SnoBalls and HoHoHos and asked me if I wanted to create a tablescape this year** I knew it would be another great project to work on with the kids. 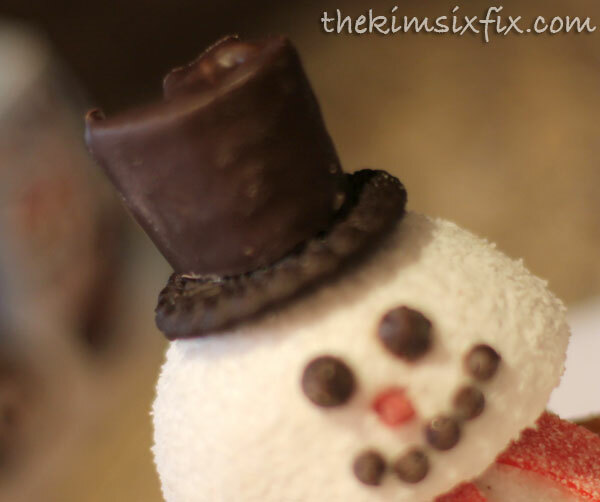 We are a Hostess snack cake loving family.. Twinkies, HoHos, DingDongs and Suzy Qs are all really popular in our lunch boxes and as a special treat, so I knew it would be a fun challenge to create a #HostessHoliday. 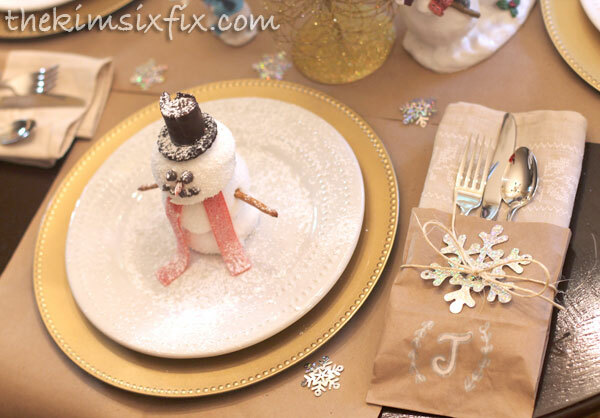 Our holiday meals are NOT formal by any means. 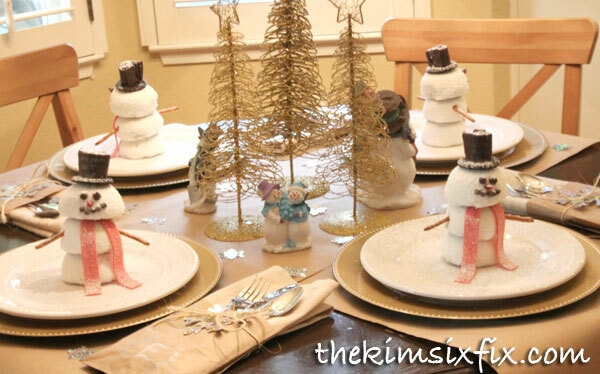 We’re a really casual family, but that didn’t mean I couldn’t bring a little whimsey and fun to the table with a SnoBall inspried tablescape. 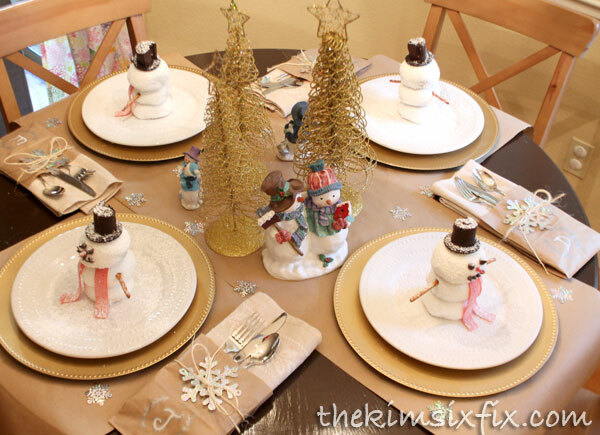 To make this tablescape even sweeter..it can help you win $1000! You can find more details about that at the bottom of this post. 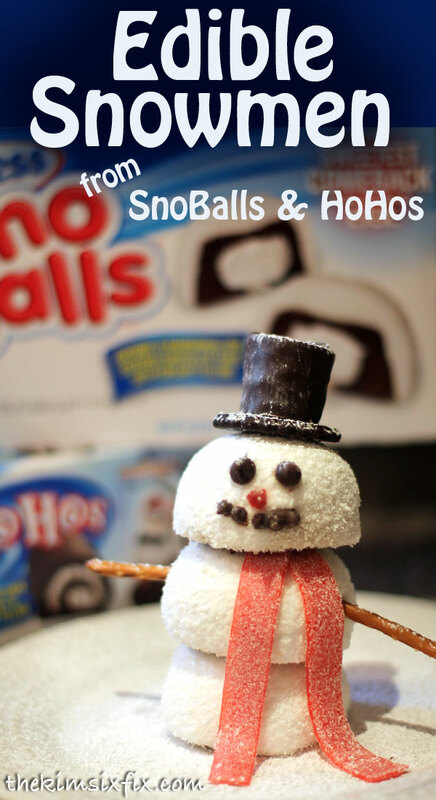 As soon as we took the SnoBalls out of the box, we immediately knew what theme we needed to use: SNOWMEN! 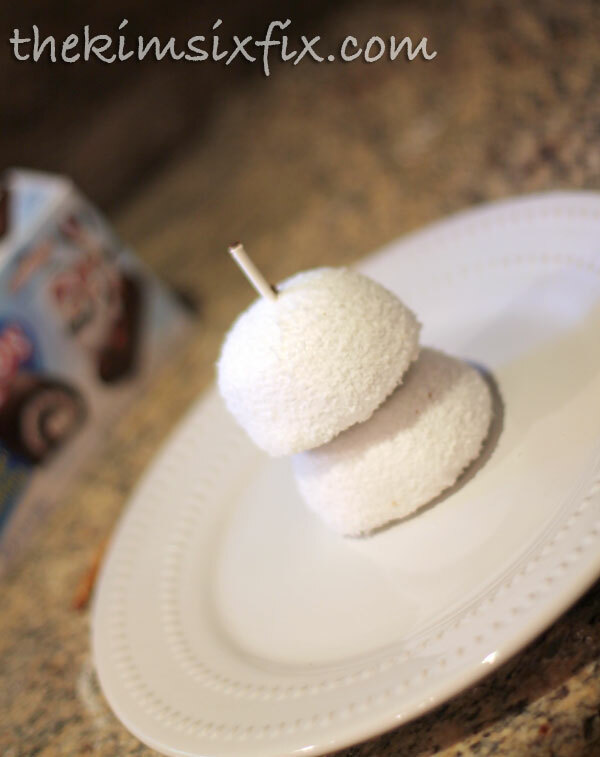 The SnoBalls were the perfect shape for it. 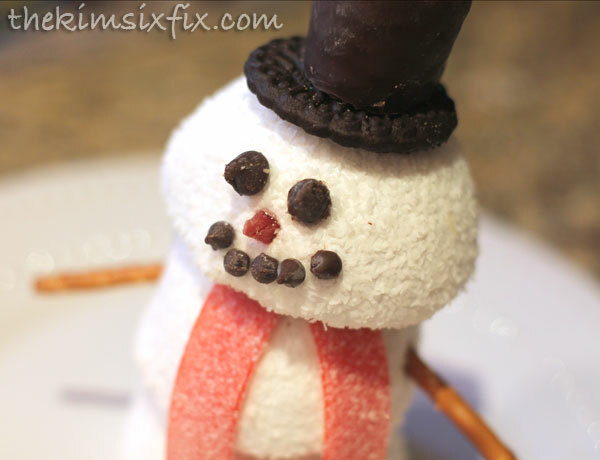 And the HoHoHos were perfect for a top hat. 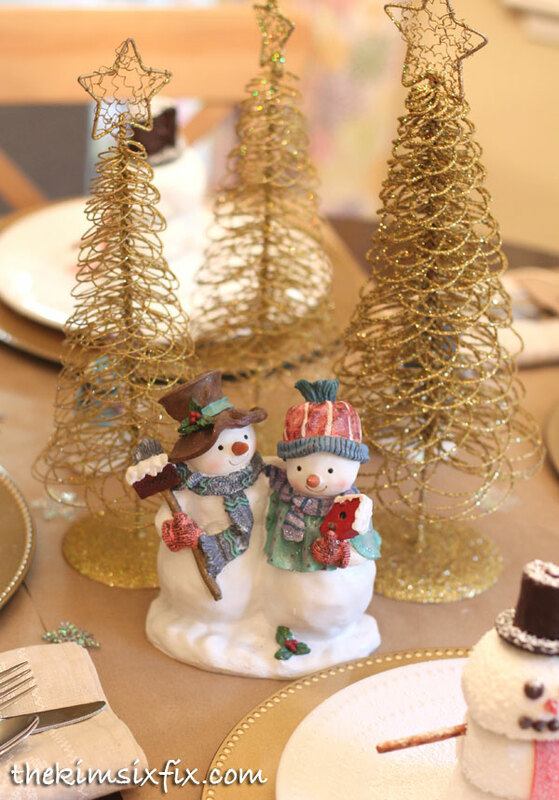 We made one for each place setting. 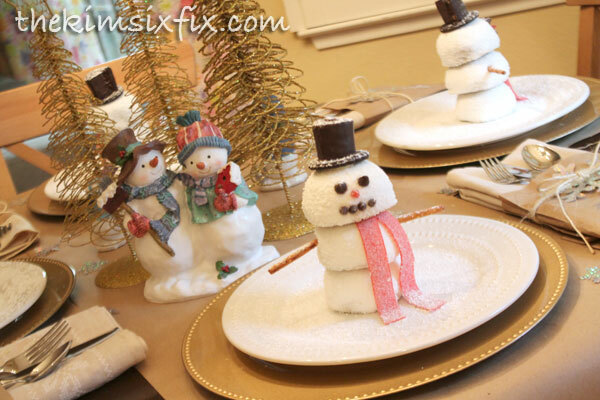 An individual snowman for each diner. Isn’t that cute? 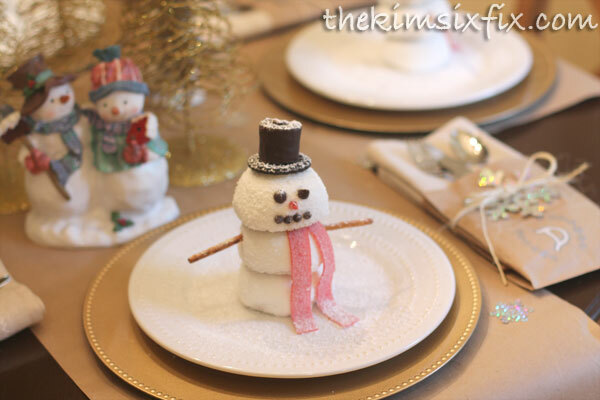 They also would be adorable as a snowman in the front yard of your gingerbread house. 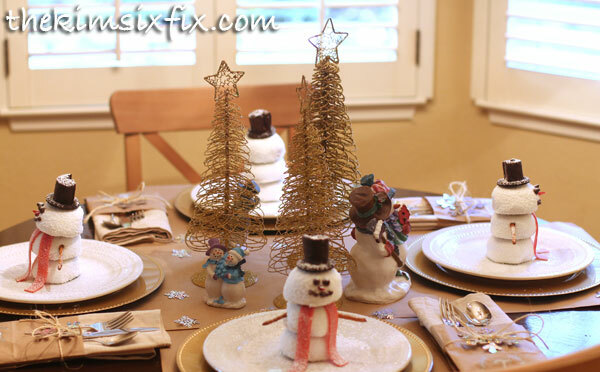 In fact, we are probably going to make them again this Christmas when we make our traditional gingerbread houses since they are so easy to put together. For the rest of the table, we didn’t do anything too fussy. 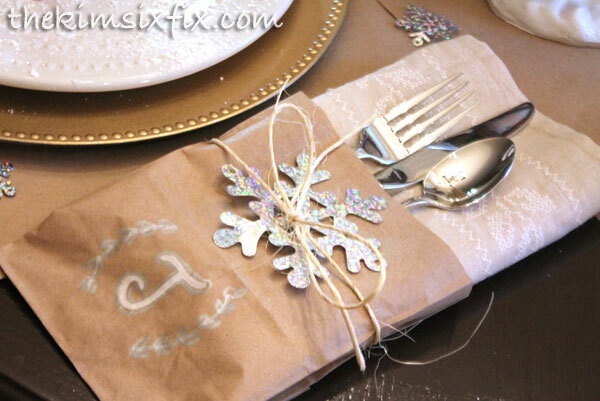 I used some brown paper gift wrap instead of table cloth (since if you have small kids you know a tablecloth only lasts one meal before requiring washing). I found these gold chargers and plain white plates at the Dollar Store.. 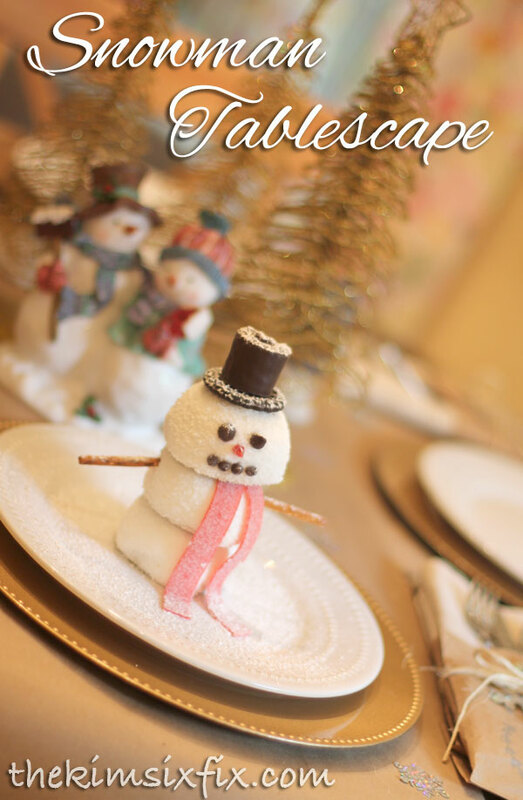 It is like you are walking in a sweet winter wonderland!